How to keep your outdoor spaces looking great at all times? Landscaping is one of the most important aspects of any outdoor space. Knowing the right information before you get started is vital to your success when it comes to gardening and landscaping. When applied all the right tips and tricks, you’ll be able to guarantee that you are making proper plans when undertaking any outdoor project. Make a list and check it twice because you’ll need to be organized if you want to create the utmost appeal to your space. Maintenance of plants, trees and shrubs once th ey’ve been planted can make or break the ongoing outcomes of your landscaping plans. When choosing bushes, you mustconsider the time that you are going to plant them because if you plan on making them part of your landscape in the wrong season, it would be a terrible error. Allowing the shrubs to go untrimmed is one of the issues that many owners come across as the hedge requires this treatment regularly to continue its full growth. If you ignore these shrubs, you’ll end up with a leaning, spaced out shrub that you’ll surely want to replace. Plan ahead and make use of your landscaping to cover up any eyesores that may be on the land. Utility boxes can be covered by large shrubs or trees and help disguise them from the view of the onlooker. When you organize the details of your outdoor decor, make sure you call a professional landscaper to help you gather information about the products you are interested in. Companies in local areas are available for consultations so you will want to consider this before you start any projects. When you invest in the appeal of your yard, you will need to get educated in your investment and stay updated on how to ensure you are maintaining the space properly. There are multiple ways to make your landscaping planning stress free and easy! 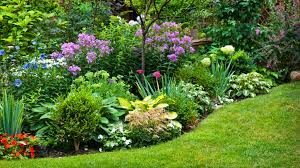 Everything You Need to Know About Gardening & Landscaping – OurGardenDecor.com Copyright © 2019.